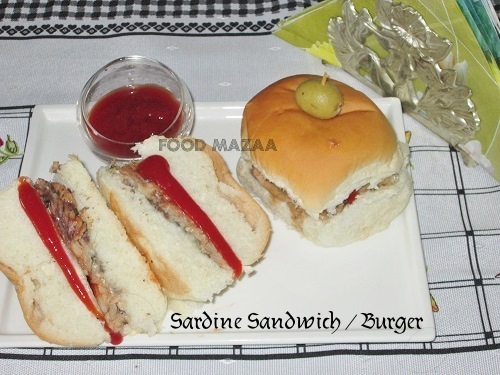 Sandwiches and burgers are always kids delight. Just present them in an attractive way and they are happy. 2. Drain out the liquid from the sardines. Remove the center bone from the fish. (it comes out very easily) Place them on the bun. 3. 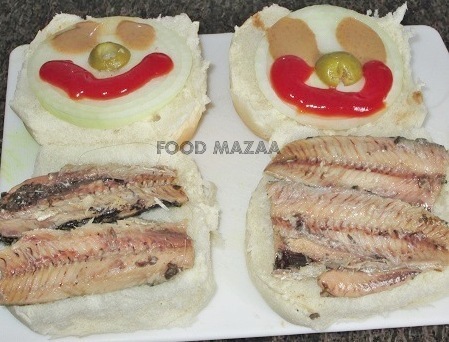 Place the onion slice on the other half of the bun and make a smiley face with tomato ketchup, mustard sauce and olive. 4. 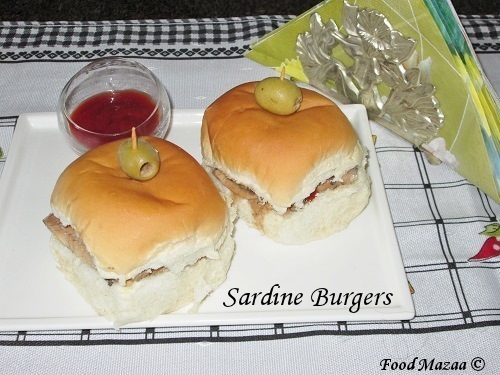 Garnish with an olive and serve as a burger or cut it into two to make a sandwich.